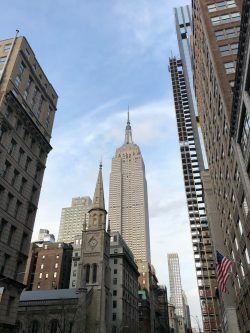 December saw our Managing Director, Enzo Giannotta travel to New York to oversee our first auction in association with Zachys. Founded in 1991, the family owned business quickly became one of the most renowned prestige wine auctioneers in the world. 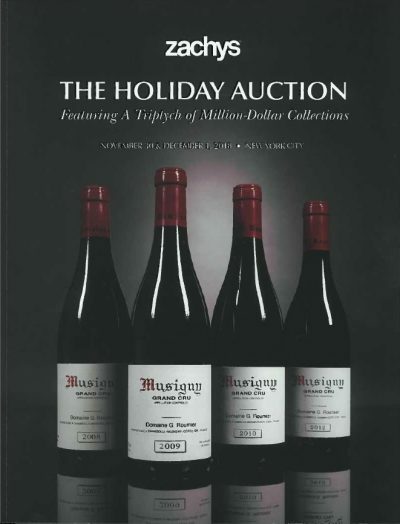 Billed as The Holiday Auction, the Zachys December Sale saw a plethora of the world’s finest and most sought-after wines go under the hammer. 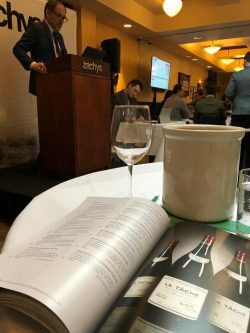 Our consignment was described in Zachys catalogue as “A diverse selection of the most coveted wines in the world” and drew attention from a number of private collectors and consumers, many of whom were in attendance on the day, with more bidding remotely both by telephone and online. Highlights of the sale included a six litre imperial of the 1974 Heitz Cellar’s Martha’s Vineyard Cabernet Sauvignon, one of only three made which fetched a staggering $96,330*, way above its pre-sale estimate of $40,000 to $80,000. Other wines to find their price were a six bottle case of Le Pin 2005 which sold for $23,465* and a three bottle case of Domaine de la Romanee-Conti Romanee Saint Vivant 2005 which fetched $8,028*. A number of lots came very close to their high estimates – various cases of Taittinger Comtes de Champagne 2004 sold for $1,976* per twelve, against a pre-sale high of $2,000 and the 2006 vintage wasn’t far behind, selling for an impressive $1,729* per twelve against a pre-sale high estimate of $1,800. Italian wines also fared well on the day with two, twelve bottle cases of Sassicaia 2009 selling for $2,347* against pre-sale highs of $2,400 but this was pipped by a 12 bottle lot of Solaia 2009 which fetched $2,717*, exceeding its pre-sale high price of $2,400 by 13%. Overall the sale was a success and we’re looking forward to further auctions in the New Year. If you would like to consider prestige auctions as an exit strategy for your portfolio, please speak with your Portfolio Manager who will be able to advise on and upcoming sales and the suitability of wines from your portfolio.